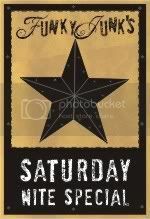 Welcome to Saturday Nite Special #62! This one’s coming to you a day early! Surprise! If you’re new here, join in! There are two categories to link to. Home Decor as well as Crafts, Sewing, Recipes. There is no 3rd themed linkup during this special holiday weekend. I’ll be busy with Christmas prep and family this round, so have a blast and see you soon! 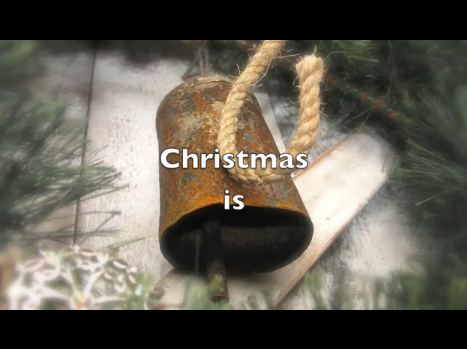 This video shows you what Christmas means to me, with a mini tour of my home decor. May the special time spent with your families be merry and bright! 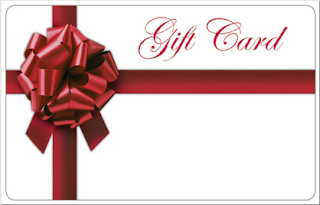 If you like shopping, you’ll love this gift card giveaway. Enter HERE! Donna, beautiful video! Thank you for your creativity! What a blessing you are! I just love you. Love. *thinking about you sweetly and your mom and all! Love your video Donna… love Casting Crowns, too! Such a great photo of you and your son! And I have always loved the art work of you, your mom, and son! (that was such an awesome gift!) Have a Merry Christmas! I love your video and I really love that song by Casting Crowns – one of my favorite groups! Have a wonderful Christmas. Kendra, I just found that song last night and fell in love. It sure has power behind it! And that’s how I feel about those I love. What a beautiful video, Donna. I had not heard that song until just now.. sooo perfect. A new fave I’ll add to the list! Thanks for everything you do. May you and your son enjoy a wonderful Christmas and an amazing 2011!! Hugs, Tammy p.s. the pictures at the end.. just priceless. Wonderful video and pictures – beautiful! I hope you have a very merry Christmas! From one Donna to another…..Merry CHRISTmas! Thank you for sharing your talents and this beautiful video. You are truly an inspiration! Your Mom would be so proud of you! Hold on to your memories and GOD….they (and your son) will get your through! Merry Christmas Donna and wishing you the best in 2011! That’s such a beautiful video Donna. It was so nice of you to take the time to put that together for everyone to see. I love that song, but three different times while trying to watch it, the music cut off at the same spot, my computer flashed, and then it went back to the video and showed it with no music. Very curious, but I will be looking that song up on youtube. That’s a great picture of you and Cody and I can see why it’s your favorite. I hope the two of you have a truly special and magical Christmas. Christmas is all about the memories we hold dear to our hearts. I hope this Christmas you feel the spirit of your mom all around you as you go through the day. Love the photo of you holding your infant son. You are amazing and an inspiration! The pictures of you and your son and mother are beautiful. Wishing you a Merry Christmas and peace. Donna, this was an amazing video. Thank you so much for sharing it with all of us. I didn’t want it to end, it was so magical. The pictures of you with Cody and your mom are so wonderful! What treasures you have. Merry Christmas to you and Cody. Donna, The video is beautiful. I enjoyed it so. Merry Christmas to you and Cody! The video was a lovely way to honor your mother. Thanks for sharing it with us. Merry Christmas! I loved your video as well. Beautiful song too – I have never heard it before. Wishing you a very Merry Christmas! A wonderful video; loved the pics… old and new, and what a fantastic song. A special Merry Christmas to you two. Merry Christmas Donna. I don’t have anything to link up this week, but I wanted to thank you for the inspiration you give to me and the great blog you have. I love visiting your blog and look forward to more in 2011. I can’t wait to see those major changes you have dreamed up. Wow, really love your video. Everything you do is beautiful, special and has it’s special Donna stamp! What a lovely video dedicated to your Mom. You always have a way of touching hearts. Thank you for the inspiration that you are. May you and your dear son have a wonderful Christmas and a fantastic 2011. Thanks for hosting another fun party…and have a very Merry Christmas!!! I just had to stop by and say Happy Holidays to you and yours.. I so enjoy your blog.. Thanks for hosting this party! Merry Christmas to you. Merry Christmas to you and all your loved ones! Marry Christmas and happy New Year! !